There’s a theme lingering in my life- the mixture of the divine and the dark in everyone- that I think dark walls of charcoal and even jet black embrace beautifully. While we are all quick to deny our darkness, there’s something lovely about turning things inside out and expressing the dark in design… The more light you add to the dark, not surprisingly, the more mystical the dark appears to be. I love these rooms, and I love the concept of yin and yang- the marriage of opposites- as the force that moves the world. Are you afraid of dark walls? This may change your mind a bit! 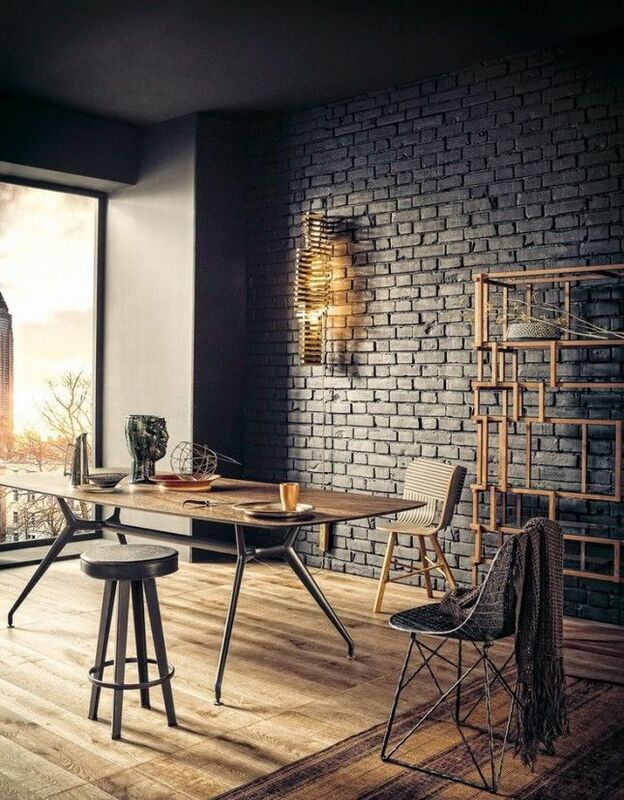 Softened by metal, wood and the most killer city view, this layer of dark upon brick is perfection. Dark makes the light and the colorful sing with joy! The art looks more playfully bright. The kids storage here looks extra-special, bright white and gleaming against the ink black. With all those windows open to nature, the dark walls punctuate and accentuate rather than dimming and glooming things over. 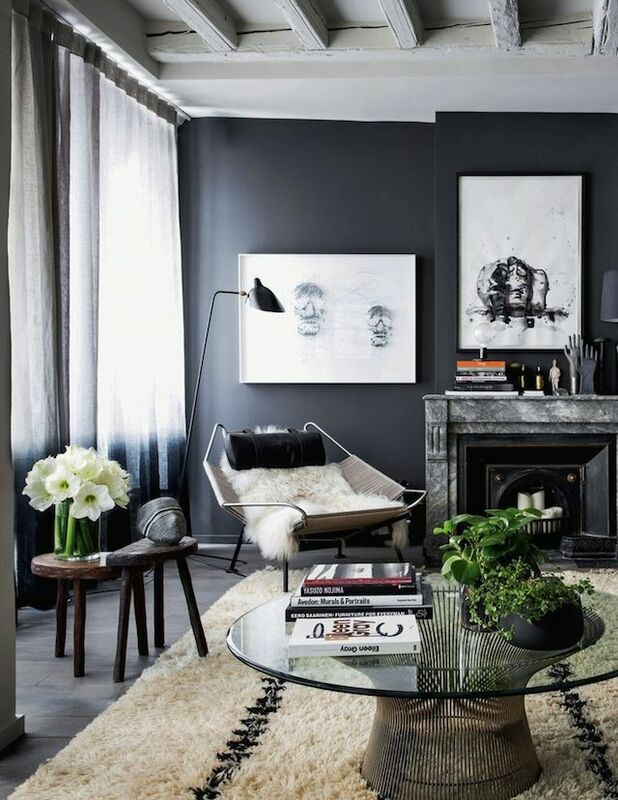 Dark walls can literally look like silk or velvet- the finish of the paint, the quality of the paint, and the exceptional nature of the paint application will make all the difference. 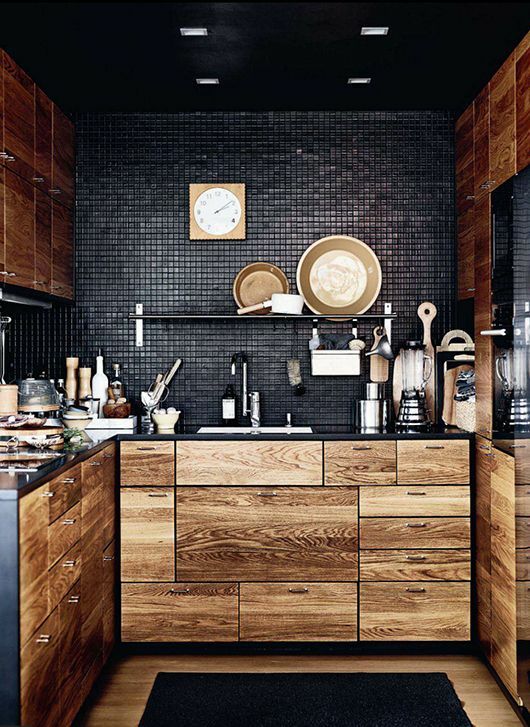 Oh wow, my favorite… matte black tile, wood and black marble. The wood warms. The black creates intrigue. This is my kind of kitchen! 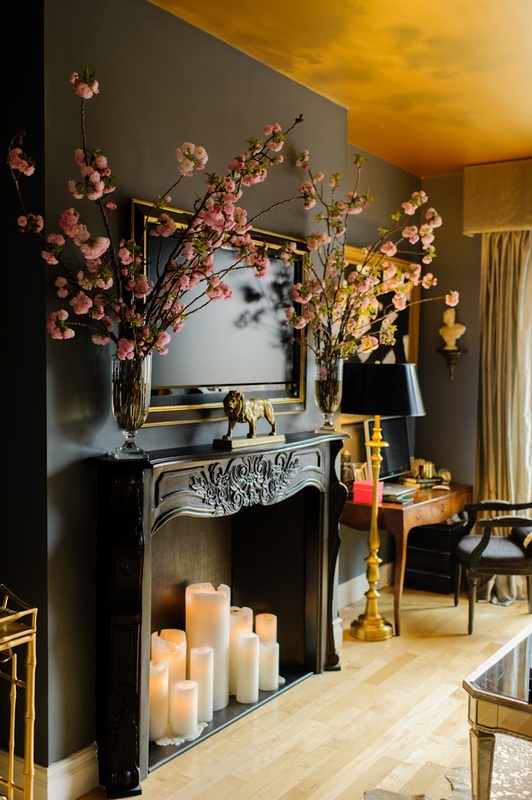 The Daring Color Of John Willey Interiors! Previous post: What A Little Commitment Can Do To Wake Up Your Whole Life!